Robert Thomas Homes reserves the right to revoke the authorization to view, download, copy, and/or print the Content available on this Site at any time, and any such use shall be discontinued immediately upon notice from Robert Thomas Homes. Any rights granted to you by Robert Thomas Homes constitute a license and not a transfer of title. A number of proprietary logos, service marks, trademarks, slogans and product designations (“Marks”) are found on this Site. By making the Marks available on this Site, Robert Thomas Homes is not granting you a license to use them in any fashion. Access to this Site does not confer upon you any license to the Marks under any of Robert Thomas Homes or any third party’s intellectual property rights. No Robert Thomas Homes trademark or service mark may be used as a hyperlink without Robert Thomas Homes’s prior written permission. The following Marks are the property of The Robert Thomas Homes Company, Inc. This list is not comprehensive; the absence of a Mark from the list does not constitute a waiver of intellectual property rights established by The Robert Thomas Homes, Inc. in a Mark. This Site may provide links to other third-party World Wide Web sites or resources. Robert Thomas Homes makes no representations whatsoever about any other Web site that you may access through this Site. Because Robert Thomas Homes has no control over such sites and resources, you acknowledge and agree that Robert Thomas Homes is not responsible for the availability of such external sites or resources and is not responsible or liable for any content, advertising, products, services or other materials on or available from such sites or resources. It is up to you to take precautions to ensure that whatever you select for your use is free of such items as viruses, worms, trojan horses and other items of a destructive nature. References on this Site to any names, marks, products or services of any third parties or hypertext links to third party sites or information are provided solely as a convenience to you, and do not constitute or imply an endorsement, sponsorship, or recommendation of, or affiliation with, the third party or its products and services. Robert Thomas Homes makes no representation or warranty as to any third party content, products, or services, and you agree that Robert Thomas Homes shall not be responsible or liable, directly or indirectly, for any damage or loss caused or alleged to be caused by or in connection with use of or reliance on any such third-party content, products, or services available on or through any such site or resource. In addition to the Content offered by Robert Thomas Homes, this Site also advertises, offers, or makes available information, products and/or services provided by third parties (collectively, the “Third Party Materials”). Third Party Materials are governed by separate agreements or licenses with the Third Parties. Robert Thomas Homes offers no guarantees and assumes no responsibility or liability of any type with respect to the Third Party Materials. You agree that you will not hold Robert Thomas Homes responsible or liable with respect to the Third Party Materials or seek to do so. EXCEPT AS EXPRESSLY PROVIDED OTHERWISE IN A WRITTEN AGREEMENT BETWEEN YOU AND ROBERT THOMAS HOMES, THIS SITE, AND ALL CONTENT, PRODUCTS, AND SERVICES ACCESSIBLE THROUGH THIS SITE ARE PROVIDED “AS IS” WITHOUT WARRANTY OF ANY KIND, EITHER EXPRESS OR IMPLIED, INCLUDING BUT NOT LIMITED TO THE IMPLIED WARRANTIES OF MERCHANTABILITY, PERFORMANCE, OR FITNESS FOR A PARTICULAR PURPOSE, OR THE WARRANTY OF NON-INFRINGEMENT. WITHOUT LIMITING THE FOREGOING, ROBERT THOMAS HOMES MAKES NO WARRANTY THAT (i) THE SITE CONTENT, PRODUCTS, AND SERVICES WILL MEET YOUR REQUIREMENTS; (ii) THE CONTENT, PRODUCTS, AND SERVICES WILL BE UNINTERRUPTED, TIMELY, SECURE, ALWAYS AVAILABLE, OR ERROR-FREE; (iii) THE RESULTS THAT MAY BE OBTAINED FROM THE USE OF THE CONTENT, PRODUCTS, AND SERVICES WILL BE EFFECTIVE, ACCURATE, OR RELIABLE; (iv) THE QUALITY OF ANY CONTENT, PRODUCTS, AND SERVICES PURCHASED OR ACCESSIBLE BY YOU THROUGH THE SITE WILL MEET YOUR EXPECTATIONS; (v) ANY ERRORS IN THE PRODUCTS AND SERVICES OBTAINED FROM OR USED THROUGH THE SITE, OR ANY DEFECTS IN THE SITE, THE CONTENT, PRODUCTS, AND SERVICES, WILL BE CORRECTED OR (vi) THE SITE WILL BE ACCESSIBLE AT ALL TIMES. THIS SITE COULD INCLUDE TECHNICAL OR OTHER MISTAKES, INACCURACIES, OR TYPOGRAPHICAL ERRORS. ROBERT THOMAS HOMES MAY MAKE CHANGES TO THE CONTENT OR PRODUCTS AND/OR SERVICES AT THIS SITE, INCLUDING THE PRICES AND DESCRIPTIONS OF ANY PRODUCTS AND SERVICES LISTED HEREIN, AT ANY TIME WITHOUT NOTICE. 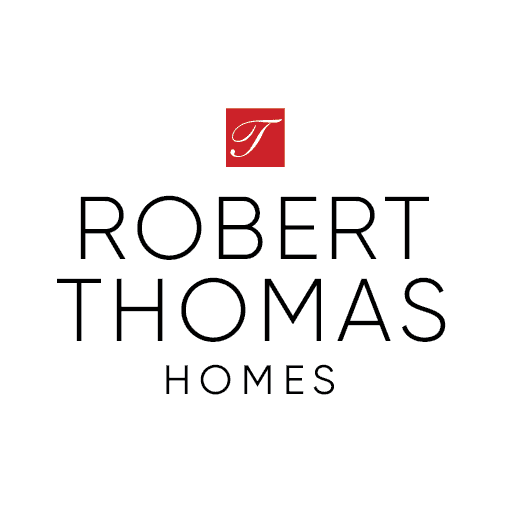 THE CONTENT AND PRODUCTS AND/OR SERVICES AT THIS SITE MAY BE OUT OF DATE, AND ROBERT THOMAS HOMES MAKES NO COMMITMENT TO UPDATE SUCH CONTENT, PRODUCTS, AND/OR SERVICES. YOU UNDERSTAND AND ACKNOWLEDGE THAT (i) ROBERT THOMAS HOMES DOES NOT CONTROL, ENDORSE, OR ACCEPT RESPONSIBILITY FOR ANY CONTENT, PRODUCTS, OR SERVICES OFFERED AND/OR PERFORMED BY THIRD PARTIES THROUGH THE SITE, INCLUDING, WITHOUT LIMITATION, THOSE PROVIDED BY THIRD PARTY VENDORS OR THOSE ACCESSIBLE THROUGH LINKS ON THE SITE; (ii) ROBERT THOMAS HOMES MAKES NO REPRESENTATIONS OR WARRANTIES WHATSOEVER ABOUT ANY SUCH THIRD PARTIES, THEIR CONTENT, PRODUCTS, OR SERVICES; (iii) ANY DEALINGS YOU MAY HAVE WITH SUCH THIRD PARTIES ARE AT YOUR OWN RISK; AND (iv) ROBERT THOMAS HOMES SHALL NOT BE LIABLE OR RESPONSIBLE FOR ANY CONTENT, PRODUCTS, OR SERVICES OFFERED AND/OR PERFORMED BY THIRD PARTIES. IN NO EVENT, INCLUDING, WITHOUT LIMITATION, NEGLIGENCE, SHALL ROBERT THOMAS HOMES, ITS SUBSIDIARIES, AFFILIATES, AGENTS, OFFICERS, DIRECTORS, SHAREHOLDERS, ATTORNEYS, EMPLOYEES, PARTNERS, LICENSORS, OR SUPPLIERS BE LIABLE TO YOU OR ANY THIRD PARTY FOR ANY SPECIAL, PUNITIVE, INCIDENTAL, INDIRECT, OR CONSEQUENTIAL DAMAGES OF ANY KIND, OR ANY DAMAGES WHATSOEVER, INCLUDING, WITHOUT LIMITATION, THOSE RESULTING FROM LOSS OF USE, DATA, OR PROFITS, WHETHER OR NOT ROBERT THOMAS HOMES HAS BEEN ADVISED OF THE POSSIBILITY OF SUCH DAMAGES OR SUCH DAMAGES ARE FORESEEABLE, AND ON ANY THEORY OF LIABILITY, ARISING OUT OF OR IN CONNECTION WITH THE USE OF OR THE INABILITY TO USE THIS SITE, THE CONTENT, PRODUCTS, AND SERVICES, THE STATEMENTS OR ACTIONS OF ANY THIRD PARTY ON OR THROUGH THE SITE, ANY DEALINGS WITH VENDORS OR OTHER THIRD PARTIES, ANY UNAUTHORIZED ACCESS TO OR ALTERATION OF YOUR TRANSMISSIONS OR DATA, ANY INFORMATION THAT IS SENT OR RECEIVED OR NOT SENT OR RECEIVED, ANY FAILURE TO STORE OR LOSS OF DATA, FILES, OR OTHER CONTENT, ANY SERVICES AVAILABLE THROUGH THE SITE THAT ARE DELAYED OR INTERRUPTED, OR ANY WEB SITE REFERENCED OR LINKED TO FROM THIS SITE. SOME JURISDICTIONS PROHIBIT THE EXCLUSION OR LIMITATION OF LIABILITY FOR CONSEQUENTIAL OR INCIDENTAL DAMAGES. ACCORDINGLY, THE LIMITATIONS AND EXCLUSIONS SET FORTH ABOVE MAY NOT APPLY TO YOU. This Site, the Content, and any links do not constitute an offer to sell real property. The Content is provided strictly for information purposes as a service to the public and shall not be construed as an offer. Specifications, floor plans, dimensions, materials, prices, and availability are approximations and may differ from that presented on the Site and are subject to change without notice. Contact the specific sales office listed on the Site for sales information. This Site (excluding linked sites) is controlled by The Robert Thomas Homes Company, Inc. from its offices within the State of Minnesota, United States of America. By accessing this Site, you and Robert Thomas Homes agree that all matters relating to your access to, or use of, this Site shall be governed by the statutes and laws of the State of Minnesota, without regard to the conflicts of laws principles thereof. You and Robert Thomas Homes also agree and hereby submit to the exclusive personal jurisdiction and venue of the state and federal courts located in Minnesota, USA.